The Foster 60928 Keencut Big Bench Xtra 53" Cutting Table saves time and money. The Keencut Big Bench and Big Bench Xtra, with their modular designs, improve the accuracy and function of the Max and Javelin Series 2 precision cutter bars. 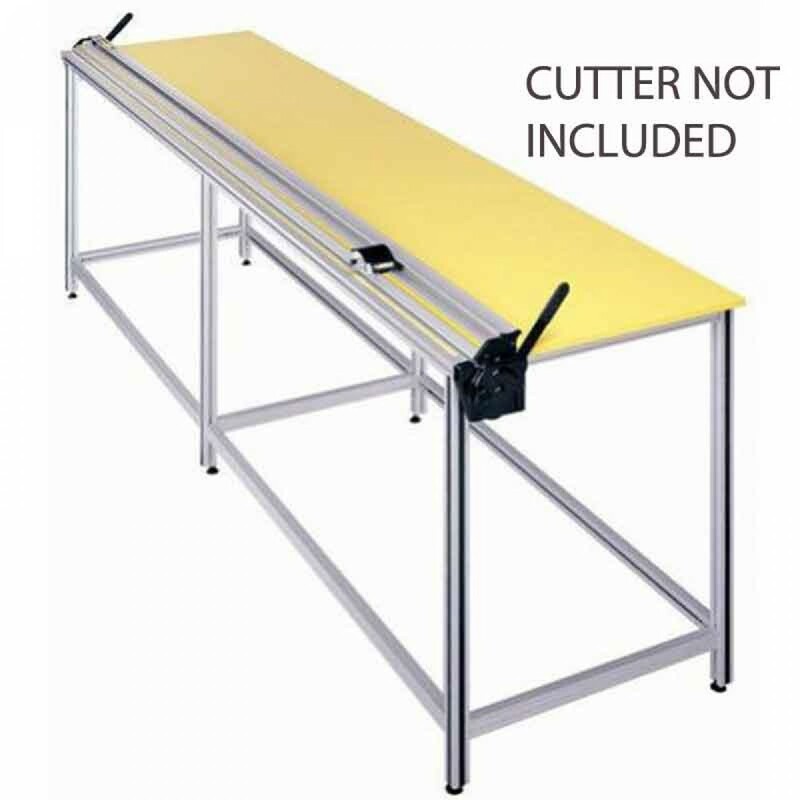 Constructed from anodized aluminum for long-lasting durability, the Big Bench and Big Bench Xtra are solid and precise cutting tables and workstations to which additional shelf fittings can be added. With the addition of the Lift-and-Hold Mechanism on each side of the table, the Big Bench allows users to easily align and trim the largest work projects single-handedly. A base plate leveling system provides extreme flatness, consistent clamping and cutting accuracy. The Foster Keencut Big Bench Xtra 53" cutting workstation is designed for your Foster Keencut Javelin Series 2 44" cutter bar to increase productivity and space around your shop.